The other section of my travels last week was with Portchullin to Warley. It mostly behaved itself; although I did seem to cook a servo board on Sunday lunchtime; which did annoy me lots as until this time we had all of the signals working which was a first. 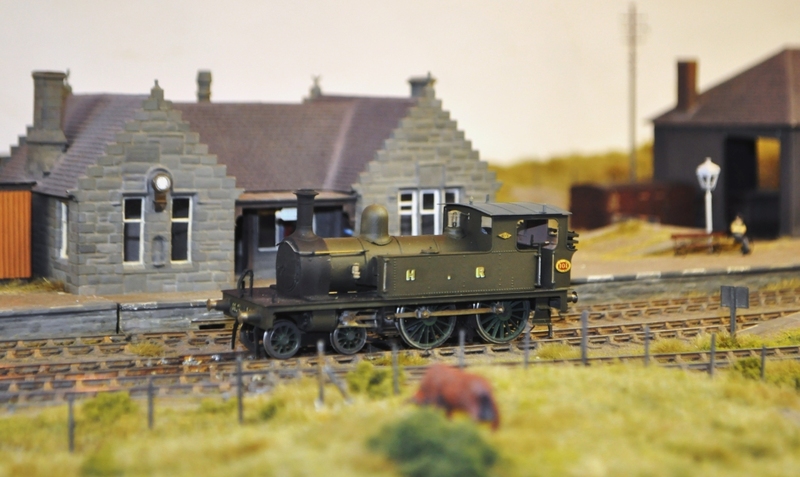 And to complete the Highland outing, Paul Bannerman’s (hard sweat not chequebook) model of a Yankee tank was out too. ………and it cost rather more than an offering from Margate too! I commissioned John James to build this about two years ago (that is how long a pro builder’s waiting list is if they are any good) and this was delivered a couple of weeks ago. 14413; Ben Alligan – constructed as she was in the mid 1920’s so in the fully lined crimson lake and jolly fine she looks to I am sure you will agree. But, there is a problem with her…………………..she has names. 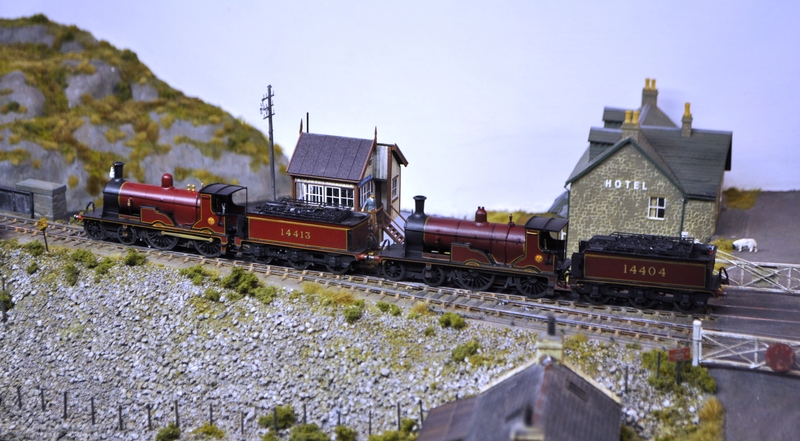 The LMS perpetuated nearly all of the Highland’s names that were still applied to the locos at the grouping (I can think of only one exception – Lochgorm) and continued to paint them on the splashers. We hunted around for a sensible letting and did not manage to find any where the font had the right serifs and slightly unusual massing of the down stroke of the leters, so John omitted the names of this and another that he built for my father (Ben Clebrig if that is of interest to you). That has meant that I have been fighting with CAD again and I think I have got close enough for my purposes (in 4mm, these are less than 2mm high!). 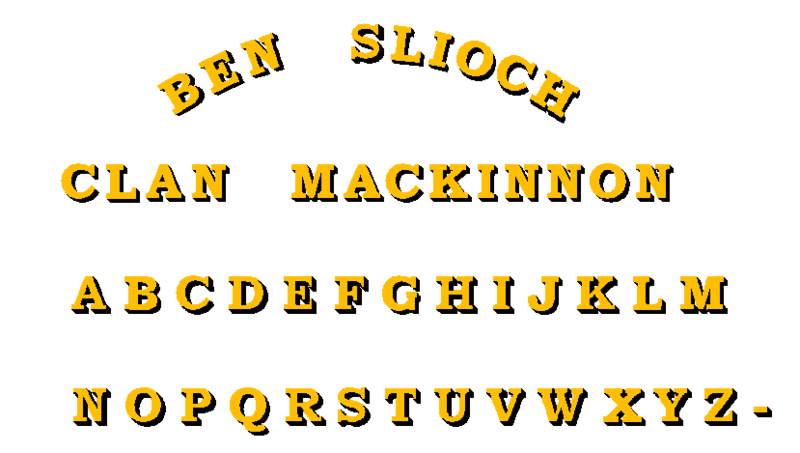 So once I have sorted out the right radius for the name (I think the Ben Slioch below is on a slightly too shallow an arc); then I will have a go at printing my own transfers. I have the appropriate paper, so lets see how we do! 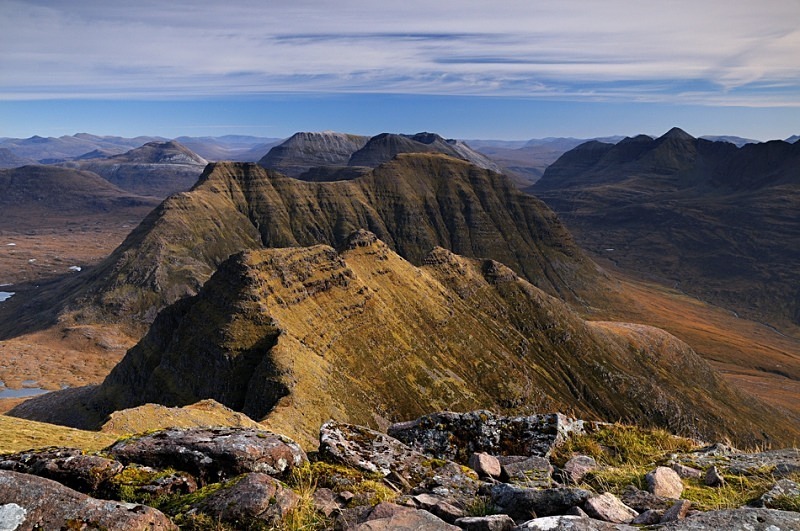 One of the fun things with the Bens is choosing names for mountains that I really enjoyed climbing; Ben Alligan was probably around my 30th Munro and is a fabulous climb. If you do it, you have to do the full circuit and finish on the Horns of Alligan – a bit of a mild scramble, not as airy as Aonach Eagach (which I have done) or the Cuillin (which I have not! ); but still a jolly fine climb. Oh and on a clear day you can see clearly to the outer Hebrides – fabulous in the blue sky. The Horns of Alligan looking east.